Beyond Blush: October 2013 Favourites! How in the world is it already November!? I hope everyone had an amazing Halloween yesterday, I would love to hear about what you got up to and what costumes you wore :) It's that time of the month again, when I share with you all of my current favourite products! 1. Bioderma Hydrabio Tonique* ($24.50 CAD) - reviewed here - I've been using this toner every single morning and night after cleansing my face. I love how gentle this toner is - you can even use it on your eyes! Unlike most toners, this formula isn't drying in the least. 2.NARS' Larger Than Life Long-Wear Eyeliner in Campo De'Fiori ($28 CDN) - reviewed here - I've been reaching for this shade almost daily this past month for a pop of gold on my lower lash line. I love this eye liner formula from NARS, it's extremely long-wearing, and it doesn't irritate my eyes. However, the stick of colour has separated from the outer packaging, so that does make application a bit more difficult. If you know how to fix this, please let me know! 3. 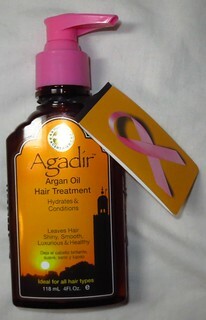 Agadir Argan Oil Hair Treatment* ($40 CAD) - reviewed here - I absolutely love the scent of this argan oil, and it makes my hair feel incredibly soft and healthy! This is one of my all-time favourite hair oils, you should definitely check it out! 4. Lush Let the Good Times Roll* ($12.95-$28.95 CAD) - reviewed here - Lush brought back this super popular cleanser, and I'm so, so happy that they did! I loved this last year, and I'm loving it again now. This cleanser smells incredible, definitely stop by a Lush store and check it out! 5. Institut Esthderm Intensif Propolis Serum* ($80 CAD) - reviewed here - I've been using this serum every single night for the past 2 or 3 months, and I'm completely in love! I've found that this serum has really helped to shrink my pores, reduce breakouts, and adds a healthy radiance to my skin. 6. MAKE UP FOR EVER 12 Flash Color Case* ($105 CAD) - reviewed here - I've been using this palette almost daily. I love the black and brown shades as liners, and the berry and red shades as cream blushes. This palette has so many great shades, and you can mix them to create custom shades. If you've been on the fence about this palette, I highly recommend picking it up during Sephora's upcoming VIB sale! 7. 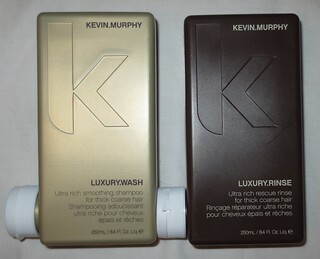 KEVIN.MURPHY LUXURY.WASH & RINSE* ($27.50 each) - reviewed here - I absolutely love this shampoo and conditioner! If you have dry, damaged, thick hair, I highly recommend trying out this line. This formula really adds a boost of hydration to my hair, and I love the subtle scent. 8. Tarte Amazonian Clay Blush in Blushing Bride ($31 CAD) - reviewed here - I've been loving this berry blush this Autumn, it has a beautiful gold shimmer that's really flattering. 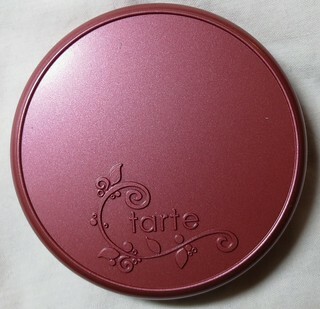 As with all of Tarte's blushes, the pigmentation is amazing, but you can also sheer it out for a softer look. If you're looking for a new blush this season, check this one out! 9. Fresh Sugar Lip Treatment - Rosé ($26 CAD) - reviewed here - This has been one of my go-to lip balms this month, and I really love it! I have a full sized tube (which is almost empty), and a few minis that I keep in my purses. This formula is quite hydrating, and I love the soft hint of pink that this adds to my lips. 10. 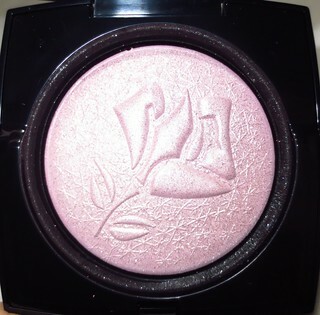 Lancôme Blush/Highlighter - Rose Étincelle* ($52 CAD) - reviewed here - This new blush/highlighter from Lancôme is absolutely gorgeous! This product adds the prettiest glow and shimmer to your cheekbones, I just love it. Plus, how pretty is it in the palette? :) This product is hitting counters today, so go check it out and swatch it! So those have been my absolute favourite products from this past month! I would love to know if we share any favourites, and what you have been loving lately :) Leave me a comment below, and we can discuss beauty! Amazing picks! That Lancome highlighter looks gorgeous! Great favourites, i really want to try that nars eyeliner! Awesome favorites!! I tried most of them in the past and I love them! !